2016 Stohs Prospect Handbook Profile: Schutte signed with the Twins in September of 2014. He is from Almere, Netherlands. He participated in the Dutch Hoofdklasse club. He also was involved in the European Academy of Major League Baseball. 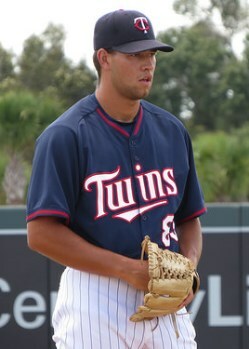 From there, he was signed by the Twins. They sent him to Australia where he participated in the Baseball Victoria Summer League. He is 6-4 and 180 pounds as an 18 year old. He has a very smooth delivery and good mechanics. He’s got a fastball that sits between 86-89, touching 90. He’s got a sharp breaking ball too. In time, he could have both a slow curve and a sharp slider to rely upon. The changeup is a work-in-progress. 2017: Released spring training 2018.